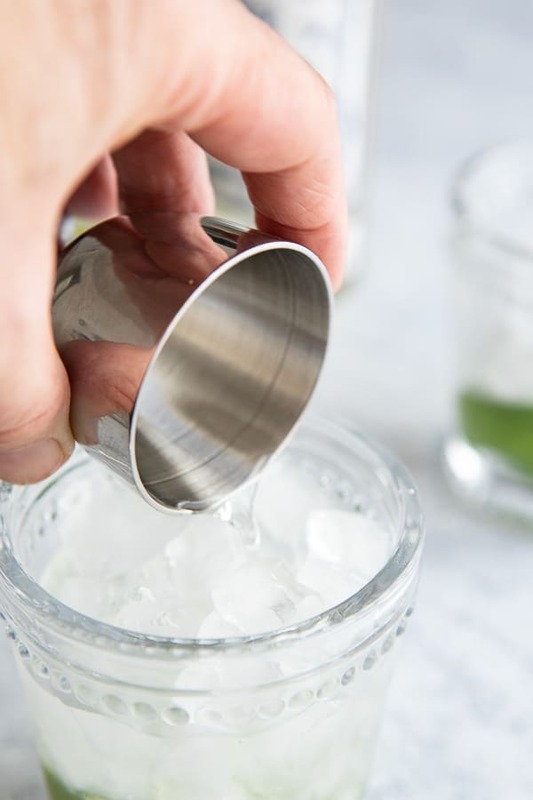 This Lime and Basil Vermouth Cocktail on the rocks is EVERYTHING a summer drink should be. 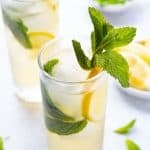 Light, citrusy, and aromatic, this low alcohol cocktail is made for lazy afternoons, long summer evenings and dinners alfresco! 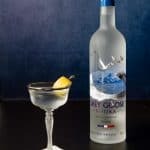 Any summer cocktail that requires only 3 ingredients and can be made in under a minute gets my vote. Extra points for looks and triple points if it tastes utterly amazing. This Vermouth on the rocks cocktail? 10 15 points easy! So what exactly, makes this vermouth cocktail so fabulous and why am I so excited about it? Bianco Vermouth. Or “Blanc” as they say in France! A little bit about Vermouth… and why YOU should try it! Vermouth is a fortified wine that’s been infused with botanicals. The alcohol content of vermouth is lower than bourbon, gin and other spirits with an ABV of between 16 – 18%. Red, white? What’s the difference? How do you drink Vermouth? Here in the U.S., Vermouth is typically added to mixed drinks. Dry vermouth is the hallmark of a classic martini and red vermouth is bourbon’s partner in a Manhattan. Vermouth on the rocks though is honestly delicious and in fact, House-made Spanish vermouths are HUGE in Spain!! 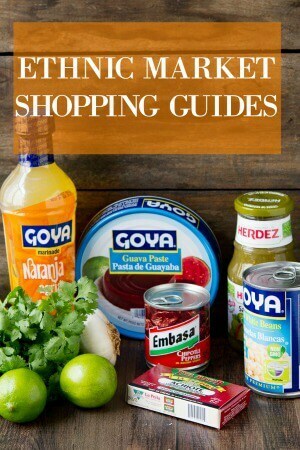 I’ve never heard of Blanc or Blanco Vermouth – what do you do with it? 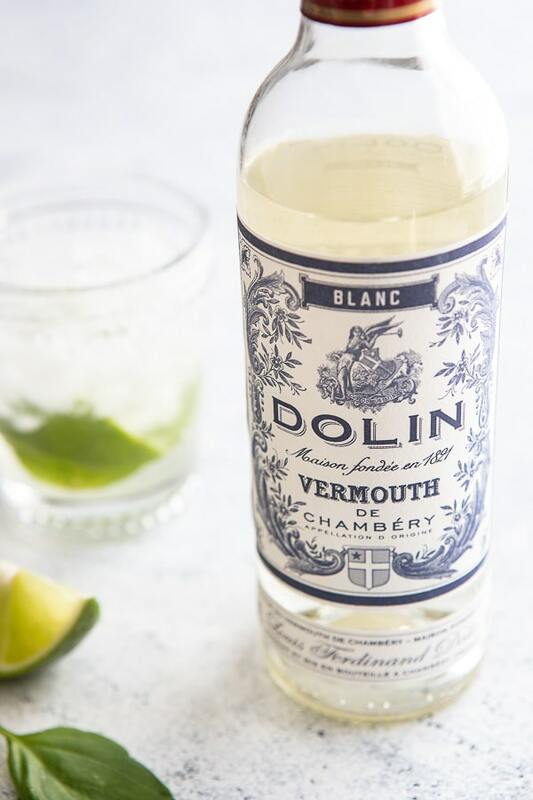 Blanc or blanco vermouth is smoother and sweeter than dry (white vermouth) with plenty of vanilla and floral notes. If you enjoy cocktails with Elderflower liqueur, you will love this Vermouth on the rocks! 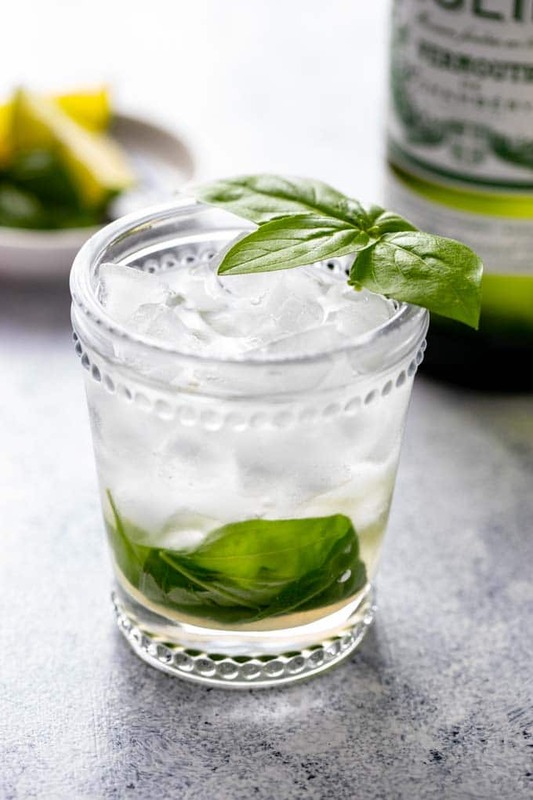 Muddle the lime and basil leaves in a glass. 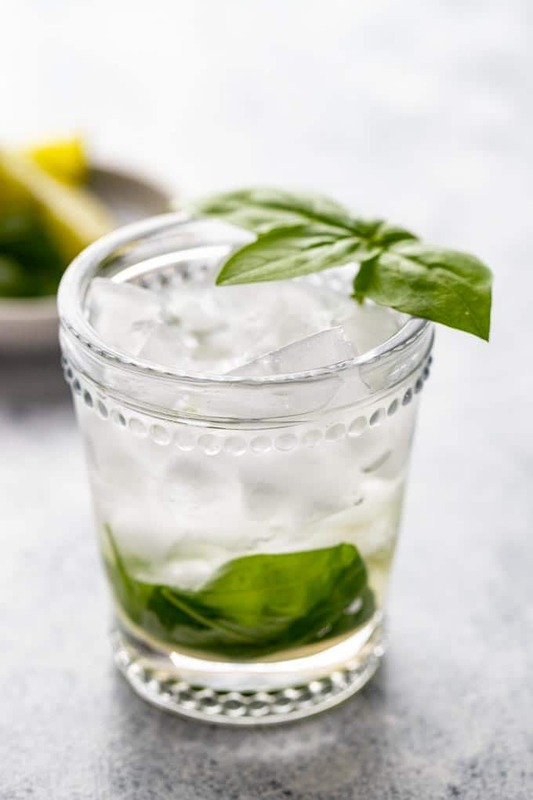 Lightly crush the basil, you don’t want pieces floating in your drink! Add ice and pour in the vermouth. Add in a few cubes of ice and pour the vermouth over. Give it a light stir, garnish and sip! Eager to explore other vermouth cocktails? Then give these two a try! 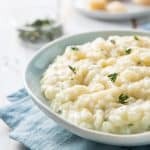 If you liked this vermouth cocktail recipe, I would to hear about it! Leave me a comment let me know what you think! 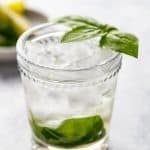 Light, citrusy and aromatic, this lime basil vermouth cocktail is everything a summer cocktail should be! In a rocks glass, muddle the lime with the basil. Add ice to the glass and pour the vermouth over. Lightly stir and garnish with basil sprig and a lime wedge if desired. I just learned a lot! 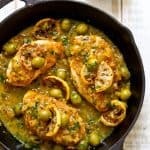 What an intriguing recipe. 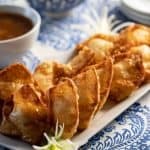 Need to do a little shopping and check this recipe out. Nancy, I love how clean this looks. My mom used to drink a tiny glass of vermouth in the evenings. 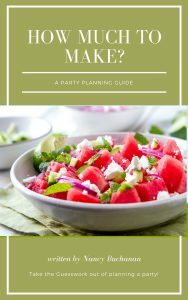 🙂 I’m loving the sound of this and so great for summer parties!